I said on the Media Nerds podcast last year that it was a bit emotional recording from our very own Manitoba Podcast Network booth during Central Canada Comic Con in Winnipeg. 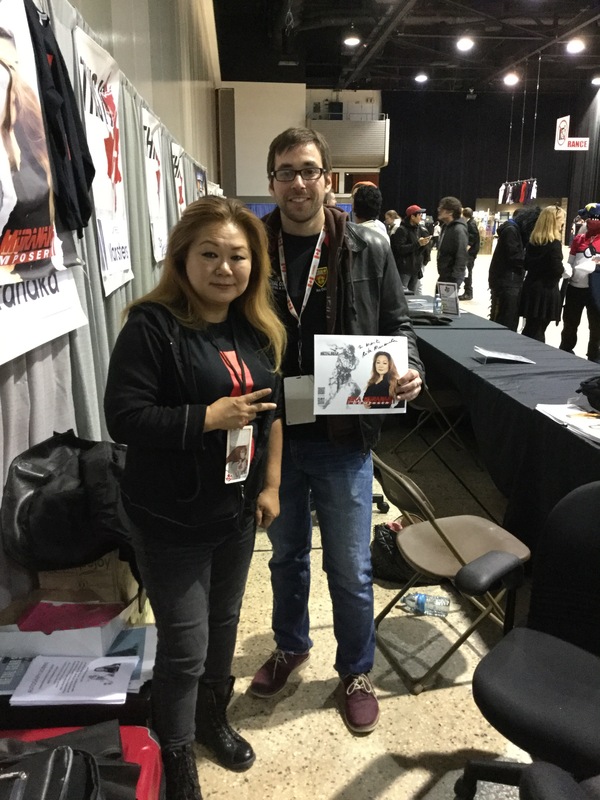 This year, I didn’t podcast, but I did moderate two panels: Rika Muranaka and Rob Van Dam. Holy cow how cool is that? Both were very kind. I asked RVD how he’s kept his body in shape. He said you can’t deny genetics, but really stressed the importance of stretching. I asked Rika probably too many questions. Wearing my Irish heritage on my sleeve as I do, I asked about the Gaelic in Metal Gear Solid’s The Best is Yet to Come. a) She doesn’t speak it, it was translated. b) Hideo Kojima wanted the song to be in a language he didn’t recognize. I also saw Chris Harrelson, who’s played several walkers on The Walking Dead. He was yet another cool guy. Attendance at the three panels I saw was unfortunately quite low, particularly on the Friday night, but I still had tons of fun. The best one of the three! They all crawled out of the sarlacc pit. There’s a Doctor in that TARDIS! They ain’t afraid of no ghost. Thanks for the autograph, Rika! My friend Shane Haywood is a great artist. And singer! I’m having horrible flashbacks of the Water Temple.